Phase III of the Convention Center expansion is set to break ground late this year. Technically, this should be great news for Tourism in San Diego. Before expansion was certain big tourist drawers such as the homegrown San Diego Comic-Con were all set to leave in favor of more accommodating host cities. But despite San Diego promising the most contiguous floor space on the West Coast, after the project is completed, our city has no firm hold on it’s contracts. San Diego’s competitors such as San Francisco, Seattle, Phoenix and Anaheim are all set to expand their spaces for conventions as well, and these should be ready around the same time that San Diego finishes it’s expansion work. Many big convention names have already drawn out of San Diego, and Comic-Con is concerned by the slow progress San Diego is making, and may also decide to leave. 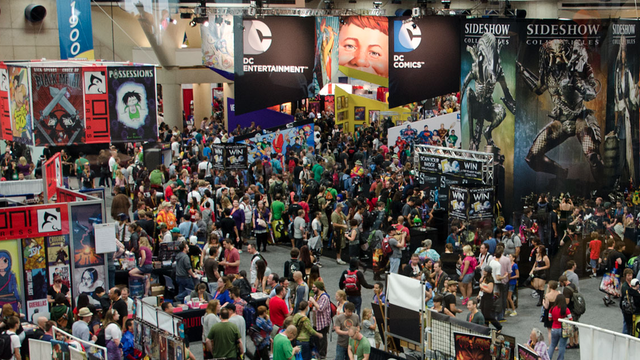 At this time, fortunately, the immensely popular San Diego Comic-Con is set to stay through 2017. Although, approved by the California Coastal Commission unanimously last October, the Port Master Plan Amendment’s expansion of the Convention center and Hilton’s Bayfront Hotel will take time to complete. The pricey $520 million Convention Center Expansion project is on track and we can only hope that workers and planners will come through. After all, as I am sure San Diegan’s would agree — Comic-Con which got it’s humble start in San Diego in the 1970′s — belongs to the city where it all began.